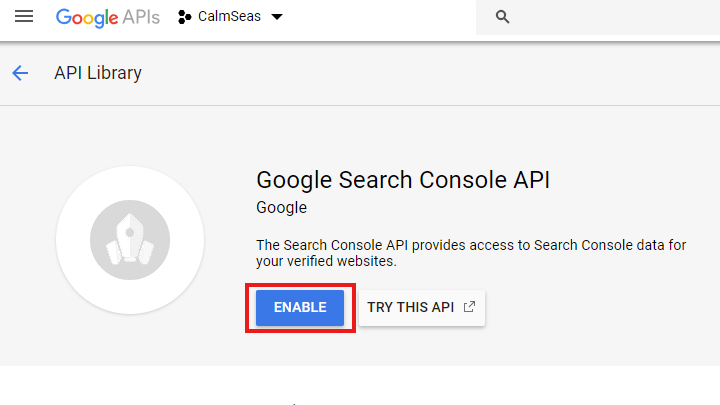 To have Google Analytics Report on your website admin area at Marketing dashboard, you will need to set Google API as the following guide. 2. 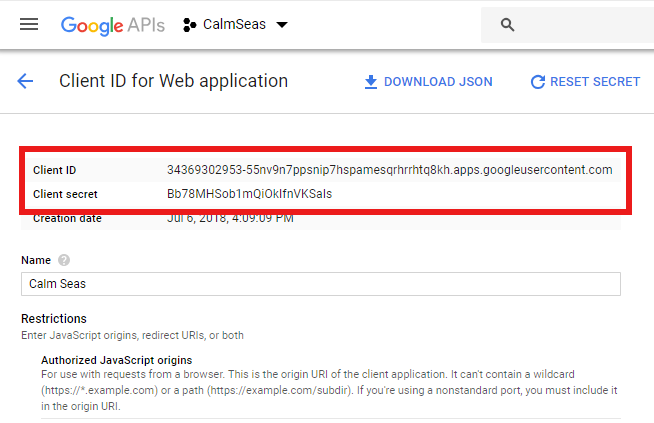 In Google APIs page, clcik Create for setting your new Google API. 3. Insert your Project Name, and click Create. 4. 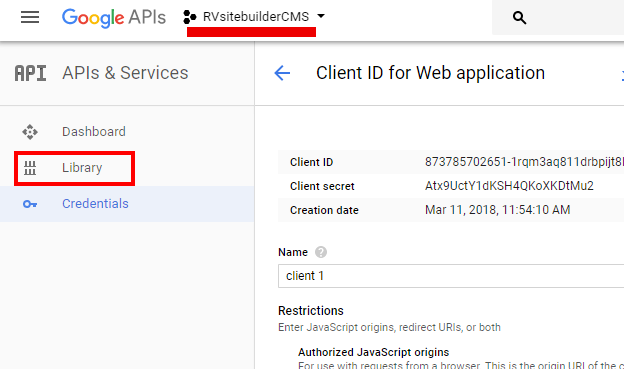 Once the new project has been created, at Google APIs select your created project and click Credential. 6. Then, select Configure consent screen. 8. At Create OAuth client ID page. *Please login to your website admin, go to Marketing -> Go to Setup to bring the value for inserting 3, 4.1 and 4.2. 5) Don't forget to click Save. 9. The Client ID and Client Secret are showing that you can copy before leaving this page by clicking OK.
10. 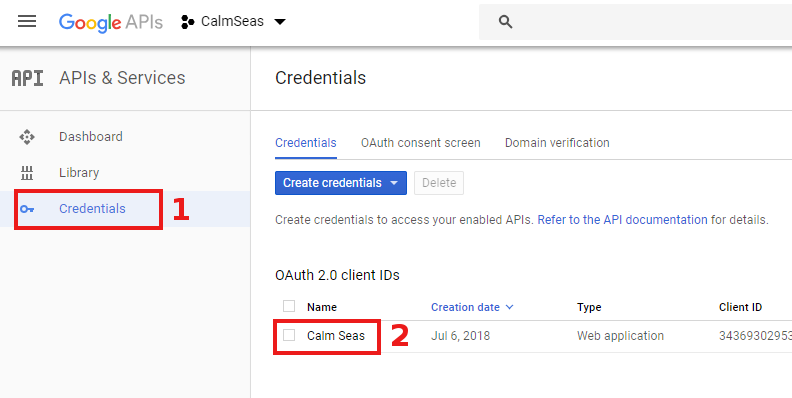 Once you clicked OK to leave OAuth client, at Google APIs page , select Library. 11. Search for the following API setups to Enable them. Click Enable to activate the API. 12. Login to your website admin, go to Marketing -> Go to Setup to insert Client ID and Client Secret form number 9. 13. Once the detail are are successfully submitted, you will be leased to Google Login page. 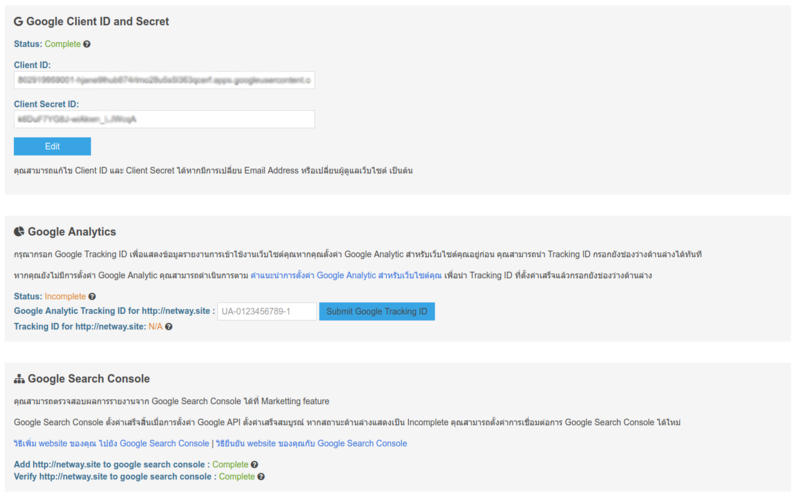 Select account you want to use for Google Analytics setup for your website. 14. 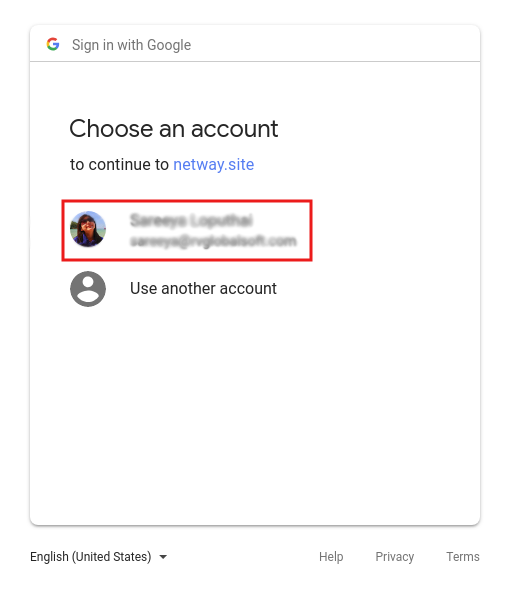 Allow Google to access by clicking ALLOW. 15. 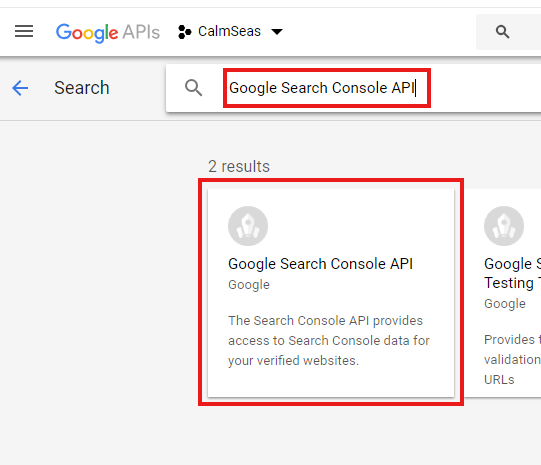 Once the setup completed, you will see Google API Setup page.